The possible connection between caffeine, fertility, and miscarriage rates is frequently in the news, perhaps because of the research interests many women. A morning cup of coffee or tea is practically a tradition in the Western world. Also, for those that hope to boost their natural fertility as much as possible, giving up caffeine seems like a worthy goal. Some women, though, just cannot get through the day without a caffeine boost. For them, this hot cup of comfort can lead to feelings of guilt and worry. What does the research actually have to say about caffeine and fertility? Is there any reason to feel guilty over just one cup of coffee? 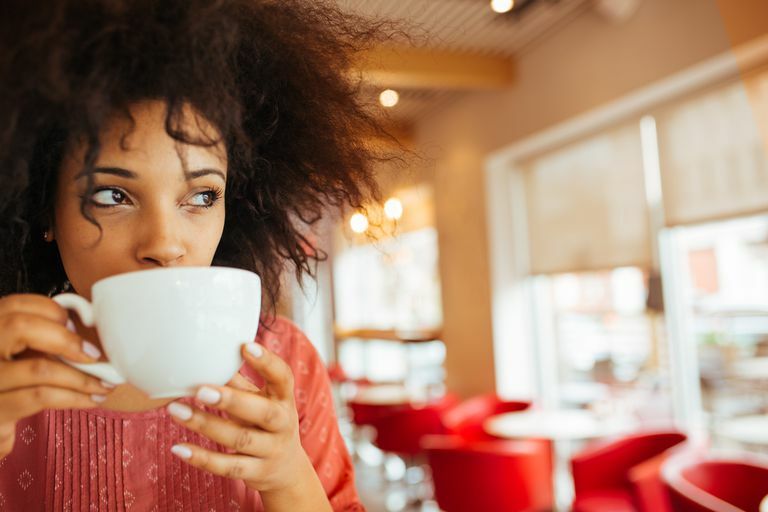 All the worry over caffeine and fertility started after a 1988 study reported that women who drank about a cup of coffee per day were half as likely to conceive. If you’ve done any research yourself on the topic, you’ve probably seen this study quoted. However, no study has since been able to replicate those findings. Not only have future studies not found such a drastic reduction in fertility from caffeine consumption—some studies have since found a slight increase in fertility rates. One of the largest prospective studies on the subject included just over 3,000 women. Researchers looked at fertility rates in relation to coffee, tea, and soda intake. Women who consumed more than 300 mg of caffeine per day (more than 1 cup of coffee) had similar fertility rates compared to women who drank less than 100 mg to none per day. Women who drank two or more servings of tea per day were slightly more likely to conceive than those who drank no tea. Women who drank soda were less likely to conceive in any given month than women who didn’t drink soda. Women who drank three servings of soda per day had worse fertility rates than women who drank one soda serving per day. Based on this study, should you start drinking tea to conceive faster? Should you go crazy on the coffee? Are soda drinks now the enemy to fertility? It’s more complicated than that. We don’t really know why tea drinkers saw increased fertility and the soda drinkers saw decreased fertility in this particular study. It could be tea drinkers tend to have healthier lifestyles in general compared to non-tea drinkers. It could be soda drinkers are more likely to have unhealthy lifestyles, or it could be there are other chemicals (besides caffeine) that are negatively impacting fertility in soda drinks. Another study gathered data from published research papers to look at the potential dose-related affect of caffeine or coffee on time to pregnant for both couples trying to conceive naturally and couples in fertility treatment. They also looked at the risk for miscarriage based on how many milligrams of caffeine were consumed. Drinking even 300 mg of caffeine increased the risk of early pregnancy loss. Drinking 600 mg or more doubled the risk of miscarriage. Caffeine did not, however, impact the time it took for couples trying to conceive naturally to get pregnant. Caffeine intake also did not seem to negatively impact pregnancy rates for couples receiving fertility treatments. Studying the impact lifestyle choices make on fertility is complicated. You can’t exactly take a bunch of people, keep them in a lab to control everything they eat and drink, and see how quickly they conceive. Studies like this rely on accurate reporting and recall. Many studies on fertility rates and caffeine asked women to report how much coffee they drank before they conceived. They were asking women to remember what they drank a year (or more) in the past. The best studies follow a group of people as they try to conceive, asking them what they are drinking now (or recently) until they conceive (or don’t.) The Denmark research described above was such a study. But even studies like these have possible problems. For example, these studies exclude women who conceived so quickly they never had a chance to “try to get pregnant.” Another problem with caffeine studies is the dosages aren’t clear. A cup of coffee at home can have a completely different amount of caffeine than a latte at a coffee shop. Even the exact same beverage at different coffee shops can have different amounts of caffeine. Something else to keep in mind when looking at the research on caffeine is that it's not clear whether it's the caffeine that may lead to problems with fertility or other lifestyle choices which caffeine drinkers may be more likely to take part in. For example, people who smoke are more likely to drink a lot of coffee and alcoholic beverages. This might be why earlier studies found strong negative fertility effects. The heavy coffee drinkers may have also been smokers, and we do know that smoking hurts fertility. Another issue—high consumption of caffeine is more likely in people who are experiencing fatigue. Fatigue could signal a disease or disorder that does harm fertility, like endometriosis or even depression. So, when research finds fertility problems in women who drink coffee, is it the coffee? Or something else? In many studies, it's impossible to tell. If you want to play it safe with caffeine, taking in less than 200 or 300 mg of caffeine a day is recommended. This is what reproductive endocrinologists currently recommend to couples struggling to conceive. However, most of us don't think of our caffeine fix in terms of milligrams. We think in cups. Studies have not found a connection between caffeine and lowered fertility in men. While the current research doesn’t clearly show a negative impact on fertility in women, the studies that have shown an effect find that less than 200 mg of caffeine should be OK. Caffeine may increase your risk of early miscarriage. You don't have to completely give up your morning cup of coffee (and needn't feel guilty about it.) However, to be on the safe side, you might want to pass on seconds. Hatch EE1, Wise LA, Mikkelsen EM, Christensen T, Riis AH, Sørensen HT, Rothman KJ. Caffeinated beverage and soda consumption and time to pregnancy. Epidemiology. 2012; 23(3):393-401. doi: 10.1097/EDE.0b013e31824cbaac. Nisenblat, Vicki; Norman, Robert J. The effects of caffeine on reproductive outcomes in women. UptoDate. Hornstein, Mark D.; Gibbons, William E. Optimizing natural fertility in couples planning pregnancy. UpToDate. Lyngsø J1, Ramlau-Hansen CH1, Bay B2, Ingerslev HJ3, Hulman A1,4, Kesmodel US5. “Association between coffee or caffeine consumption and fecundity and fertility: a systematic review and dose-response meta-analysis.” Clin Epidemiol. 2017 Dec 15;9:699-719. doi: 10.2147/CLEP.S146496. eCollection 2017.